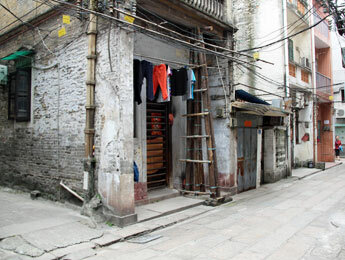 Liwan is one of the older districts in Guangzhou, and a heartland of traditional Cantonese culture. 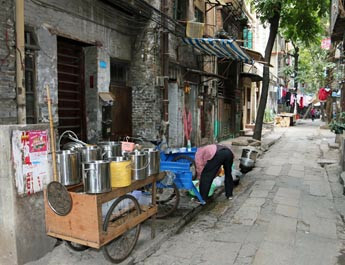 It is famous for the Shangxiajiu Pedestrian Street which is the oldest pedestrian street in China, but scratch the surface and Liwan offers small alleys that are full of local life. Our food tour starts with a walk through the Guangzhou fish markets, an amazing wholesale market full of fresh live fish and shellfish. 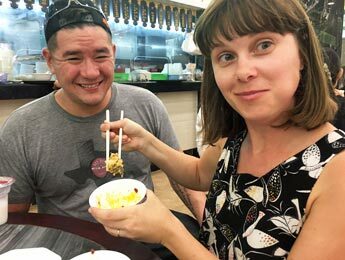 After our first tasting of fresh prawns our expert guides will lead you through the backstreets of Liwan to sample more specialities and absorb local life and culture. 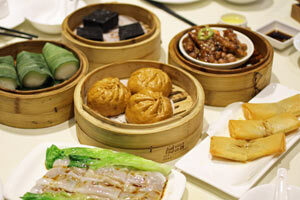 The highlight of the food tour is Yum Cha at one of the best Cantonese restaurants in China. If you have always wanted to really know what is on the menu, than this is for you. 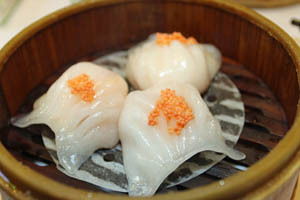 How about some Sea Cucumber Dumplings? 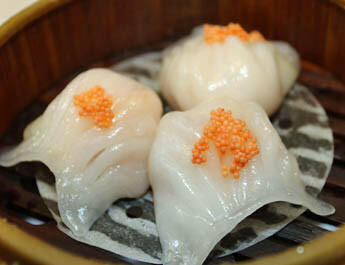 Even if you are an old hand at Yum Cha, this will tantalise your taste buds. After buying some live prawns at the fish market, we have them stir fried with salt and pepper at a neighbouring restaurant. Fresh and delicious. Sample some of the finest Cantonese bakery food from traditional cake shops that are more than 100 years old! 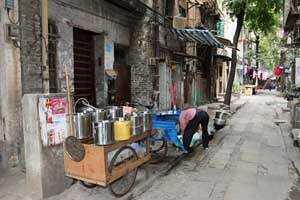 "Lo Po Bang" - Wives Cake, "Lin Yong So" - Lotus Seed Paste in pastry and plenty more. Succulent freshly roasted duck from this small family run bbq shop. 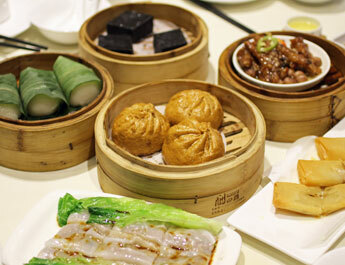 Yum Cha is the perfect opportunity to sample a wide range of the best Cantonese cuisine. And where better to do it than at 80 year old award winning restaurant? Choose your preferred Chinese tea (Jasmine, Bole, Ti Gwun Yum) and enjoy dim sum in peaceful surroundings. 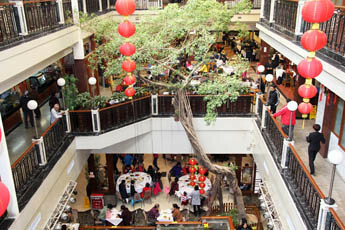 The quintessential Cantonese dining experience. Number of Tastings: 5 - 6 including one main meal. 3+ Tickets: RMB 469 pp. 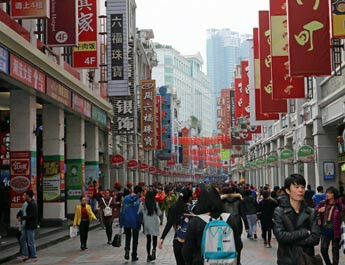 1 - 2 tickets: RMB 529 pp. Prices are inclusive of standard food. Child Friendly: Yes – We offer discounts for children under 13, see the booking page for prices. 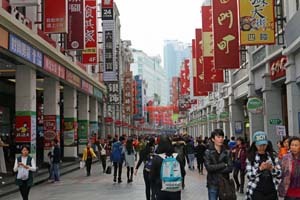 Languages: Tours can be conducted in English, Cantonese or Mandarin. 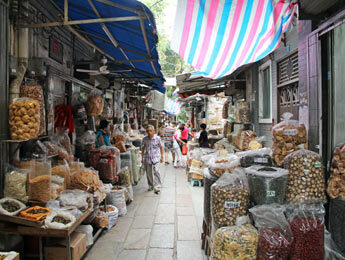 Take a look at our Guangzhou Bicycle Foodie Tour.